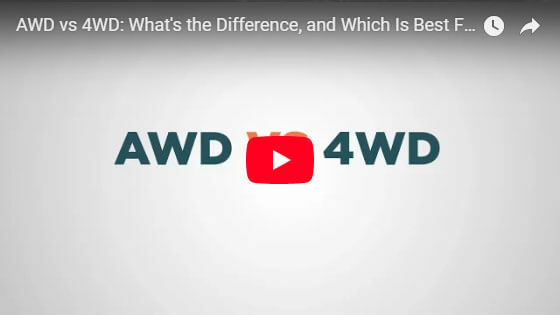 Are You Considering All-Wheel-Drive or Four-Wheel-Drive? Misconceptions abound in regard to the terms of “All-Wheel-Drive” and “Four-Wheel-Drive” as being conceptualized as being the very same thing. Both technologies do cause all four wheels of a vehicle to receive power and to cause additional traction on the driving surface. However, any likeness between the two terms ends there, as they each operate under their own set of parameters. The four-wheel-drive function uses a lower gear ratio and a split differential to make its magic occur. Bigger off-road SUVs and pickup trucks are the primary vehicles that utilize this concept. These are the vehicles that are used for off-road and very rugged terrain driving. All-wheel-drive vehicles are sedans, crossovers, and high-performance vehicles. They receive a steady source of continuous power to all four wheels, with allowances made for changing road conditions at each wheel site. This provides a very powerful and smooth ride on paved driving surfaces. It works great for driving in terrible weather such as ice, snow, and heavy rainstorms. If you’re eager to discover your future drivetrain in the Royston, GA area, then be sure to confide in our knowledgeable staff at Casey Jackson Ford!